C.M. Technology offers a range of power supplies targeting the telecommunications sector. The DDC Series is a range of advanced DC to DC Converters. Available in many DC voltage Output configurations. The PS1220 is designed as a 14.2V D.C/20A battery charger and battery charge state monitor. The charger first applies a fast charge to bring the battery up to nominal capacity and then applies a trickle charge to maintain that state. The RSP Series is a communications grade battery manager range of advanced AC Input to DC Converters. Available in many DC voltage Output configurations. The R1 Series has been designed to suit EN51055 requirements of DC-DC converters utilised in industrial, railway & communications applications. Available in single & dual (5V, 12V & 24V) output configurations with DC Output annunciator LEDs. This desktop supply supplies 13.8V DC at 8A, with a 1.5A battery charger circuit included. A complete battery manager that monitors the battery voltage and disconnect it at 10.5v to stop deep discharge. 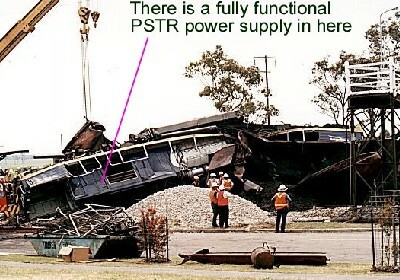 The PSTR24 Power Supplies are DC to DC Converters designed to provide an isolated, regulated, overvoltage and transient protected 13.8 Volt source for radio and other ancillary equipment that is to be powered from the train DC supply. The PSTR2412 is a DC to DC Converter designed to provide an isolated, regulated, overvoltage and transient protected 13.8 Volt source for radio and other ancillary equipment that is to be powered from the train DC supply. The PSTR48 Telecommunication Power Supplies are DC to DC Converters designed to provide an isolated, regulated, overvoltage and transient protected 13.8 Volt source for radio and other ancillary equipment that is to be powered from the train DC supply. The PPS15 is a 13.8 volt 15amp transformer isolated switch mode down converter designed to be used either as a stand alone supply or as a float style battery backed up supply when a lead acid battery is connected to its battery terminals. The PPS20 is a 13.8 volt 20amp transformer isolated switch mode down converter designed to be used either as a stand alone supply or as a float style battery backed up supply when a lead acid battery is connected to its battery terminals. The PSTR7412 has been designed for locomotives with DC supplies ranging from 60 to 130 Volts, without any voltage selection being needed. The PSTR7412 has also been designed for a high energy efficiency of >80%. The DC4842 is an AC/DC frontend rectifier with a compact 1RU form factor & 21.4W/cubic inch power density. The DC4842 can provide up to 6000W per rack, making it the ideal frontend rectifier rack for a wide range of industrial applications. The PS1240 is designed as a 14.2V D.C/40A battery charger and battery charge state monitor. The charger first applies a fast charge to bring the battery up to nominal capacity and then applies a trickle charge to maintain that state. The PFCMS1 is a 19" Control & Monitoring Rack for the DC4842 with removable ANSI/ETSI mounting flanges. Front Panel LEDs display the DC4842 Temperature, Output Voltage & Current. The PS2024 is designed as a 14.2 VDC/40A emergency vehicle battery charger and battery charge state monitor. The charger first applies a fast charge to bring the battery up to nominal capacity and then applies a trickle charge to maintain that state.